Naomi Campbell has highlighted the astonishing lack of diversity in British Vogue's editorial team under out-going boss Alexandra Shulman. 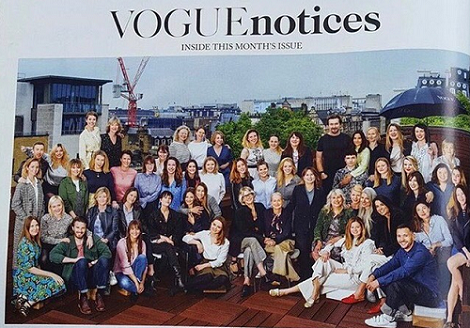 Posting a staff photo that appeared in the June issue of Vogue, Shulman's penultimate issue in charge following a 25-year reign, the 47-year-old model said she was 'looking forward to inclusive and diverse staff' at the fashion bible now that new editor Edward Enniful is in place. Earlier today, Campbell took to her social media account to ask her 4.3million followers 'for their thoughts' on the photo in a scathing post which has already been liked 10,000 times.